The ProfileVolumesMarket indicator calculates tick volume on each price level in a selected range. Volume is vital when determining strength and therefore significance of price levels. The calculation range is set by a trader by means of moving two vertical lines. Thus the indicator allows to track important levels on different steps of a symbol price formation. 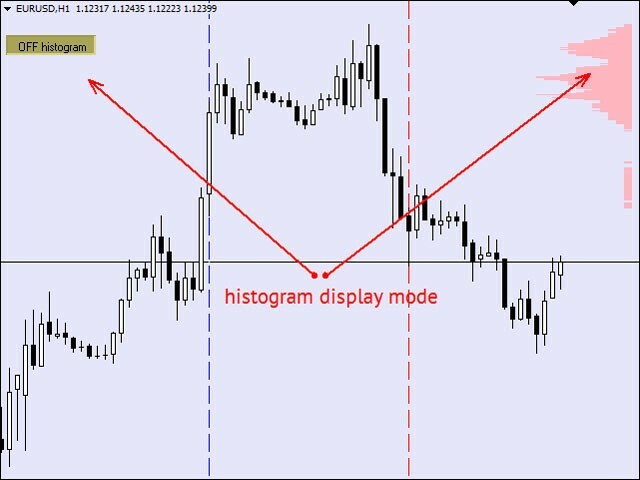 A histogram of volume profile can be displayed on the chart (or removed from the chart) if you press "ON" ("OFF") button. 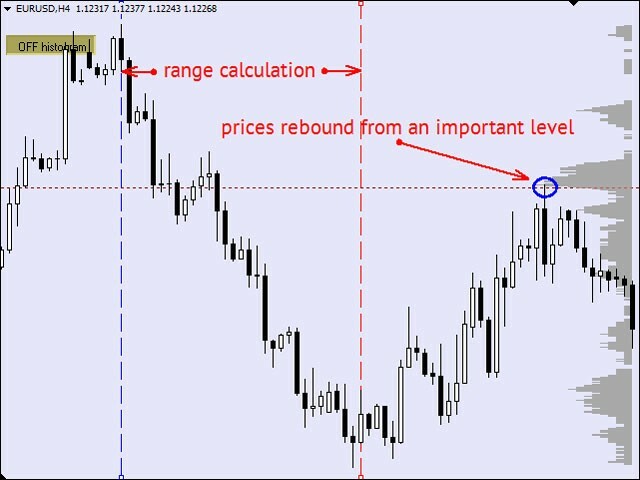 When you change the chart period, the indicator calculation range changes as well which is ideal when estimating accuracy of levels on lower time frames. The histogram color is determined by position of the current price relatively to the maximum level. The increase coefficient allows to adjust the histogram for trader's personal preferences. 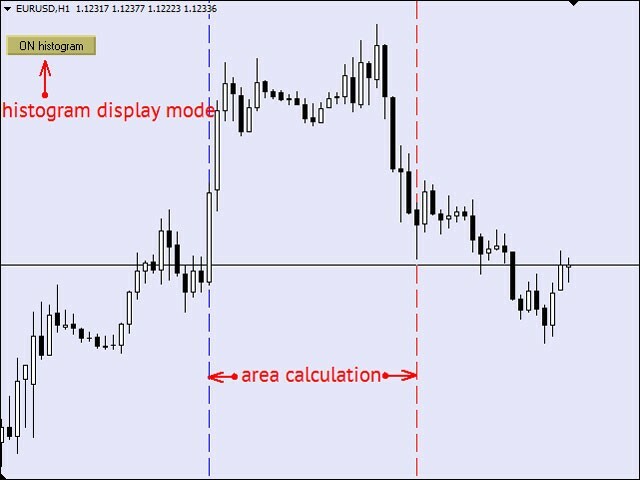 The demo version of the indicator works only on EURUSD. Full version of the indicator. koef - coefficient of the histogram display setting. Doesn't work (histogram does not display).